This is a DuraTrax 4mm Bullet to Female Traxxas Battery Connector. 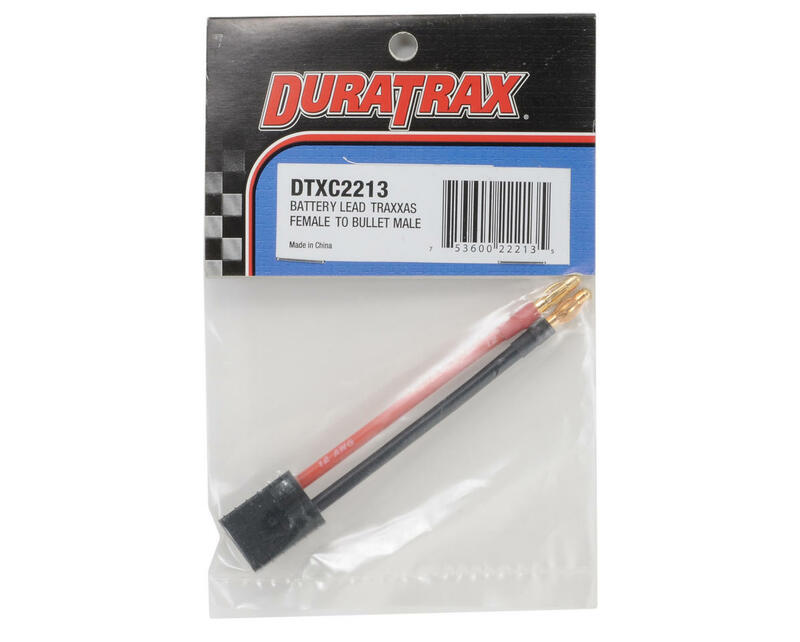 This connector is used to connect DuraTrax LiPo batteries to an ESC with a Traxxas plug. For people who use the Traxxas connectors and Lipos with removable connectors, this part is perfect. 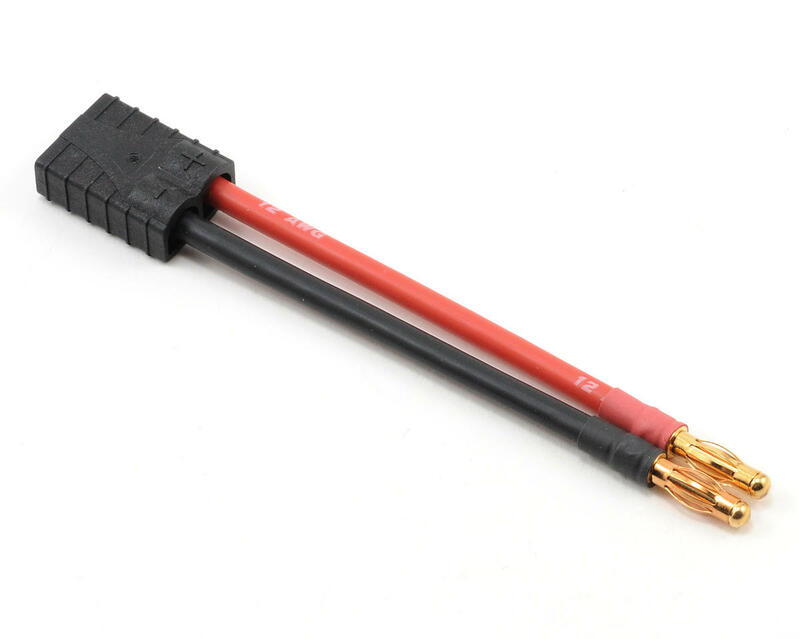 It comes with 12AWG wire which matches the size of the other wires in the system. I highly recommend this to save your balancing cables!